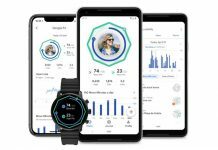 In addition to the LG V40 ThinQ, the South Korean manufacturer LG will probably present a new smartwatch called the LG Watch W7 on October 3rd. At the beginning of the year, the hybrid smartwatch with analogue clock hands was known as LG Watch Timepiece. Already in April, the first rumors about a hybrid smartwatch called LG Watch Timepiece came on, now the wearable could be introduced soon. As Evan Blass announced on Twitter, LG will release the smartwatch next to the new flagship smartphone LG V40 ThinQ on October 3. However, the name has changed within the last six months: the model is expected to come on the market as LG Watch W7. LG combines the Watch W7 the current state of the rumour mill for a conventional smartwatch with some features of a classic analogue clock. So should the LG Watch W7 besides a display also normal clock hands possess, so that the time is also readable if the display is just off. That should save a lot of power and allow a long running time. 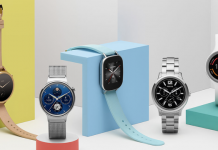 Technical equipment of the LG Watch W7. Apart from this interesting feature, the features of the LG Watch W7 for the time being quite average. W7 will be launched with a 1.2″ display with 360 x 360 pixels and a Snapdragon Wear 2100 together with 768 MB RAM is suspected. Additionally, 4 GB of internal memory, a 240 mAh strong battery and Wear OS are also rumored features of W7. Regretfully, there will be no additional wireless standards such as NFC, LTE or GPS on board. Another week, then we will learn whether LG in addition to the V40 ThinQ really will also introduce the Watch W7 and what features it will have to amaze the buyers.